Ever since I got a sneak peek of Guerlain by Emilio Pucci Terra Azzura Summer 2012 Makeup Collection, I have been dying to get my hands on some of that cute “Winter Capri” print. Now that they are finally here, let’s find out if they live up to my expectations! 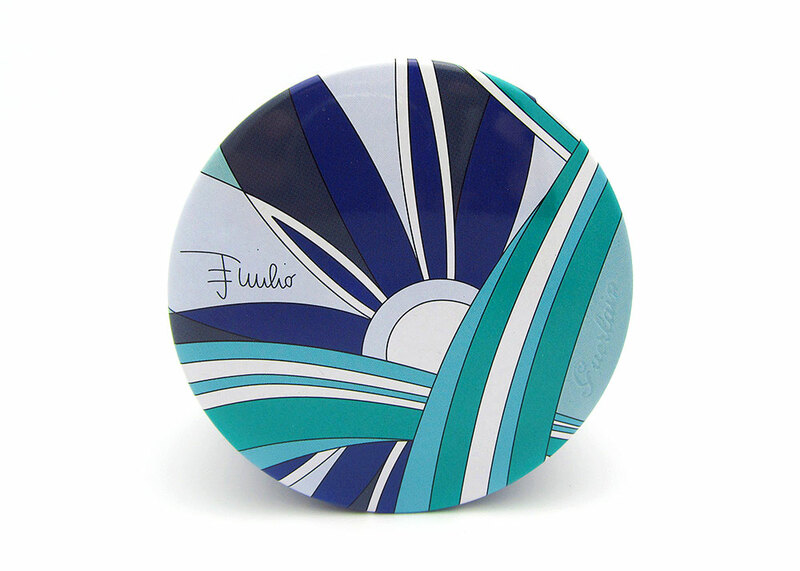 The Guerlain By Emilio Pucci Météorites Perles D’azur Illuminating Powder – Pure Radiance ($59) comes in a midnight blue tin case with a lid decked out in Pucci print and is totally gorgeous as expected! 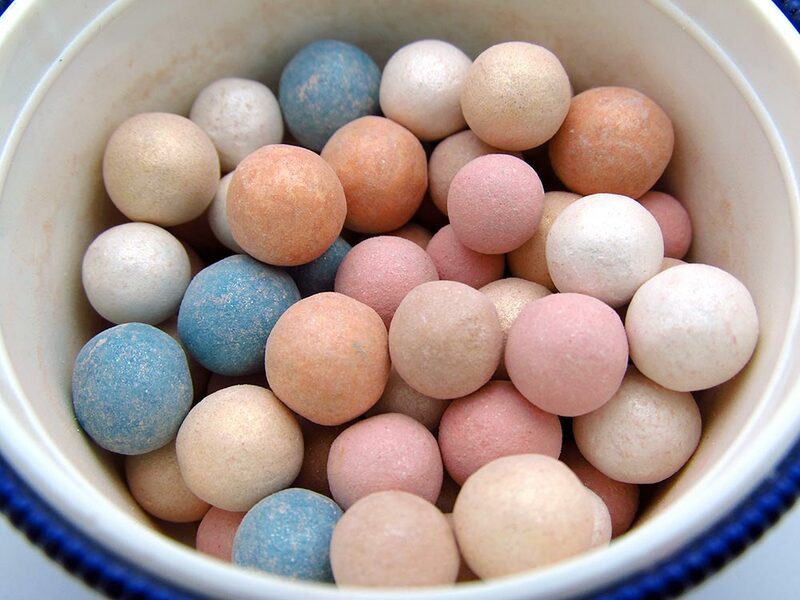 Like the classic Météorites Perles, it smells awesome and combines six colors to even out and correct every skintone. The beige and orange warm up the complexion and create an even tan; the ivory and white gold reflect light without a whitening effect; while the blue (a new color) and pink counteract yellow tones in tired complexions. When worn over foundation, the pearls added a nice glow to my skin with just the slightest tint of shimmer. My only complaint? The latex sponge sitting on top of the pearls. I had a hard time pulling it out to get to the balls, not to mention, it is kind of tacky-looking too. What happened to the velvet puff from the Holiday 2011 Meteorites Perles D’or? Sad face! 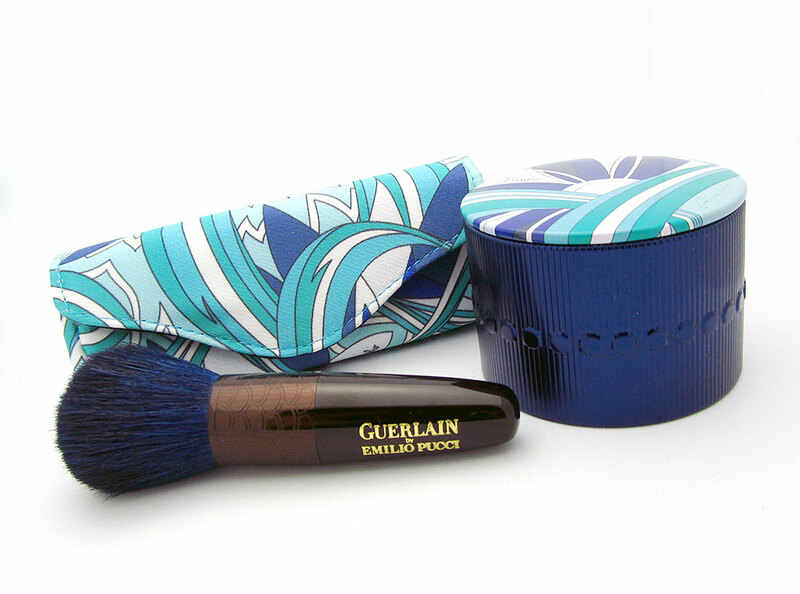 The Guerlain By Emilio Pucci Powder Brush ($43), on the other hand, is a Kabuki-style powder brush that is meant to be used with the Météorites Perles d’Azur or the Terra Azzurra Powder. 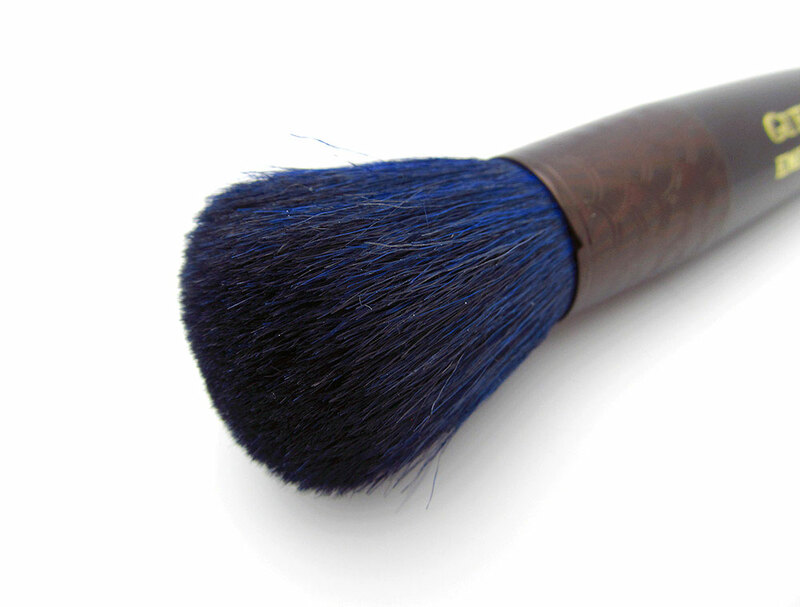 It measures roughly 4 inches long and looks super luxe with a glossy brown handle and the prettiest midnight blue bristles. 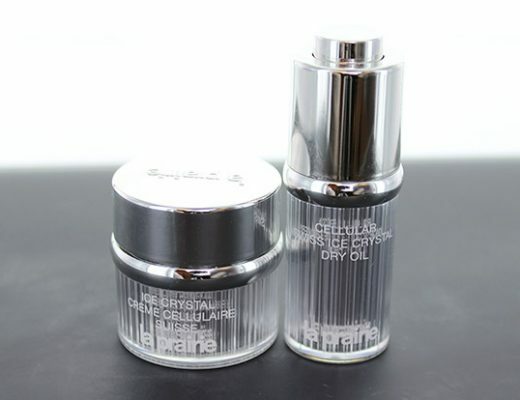 I love that it deposits the right amount of product and feels soft and gentle on the skin. It also comes with a Pucci print pouch that is perfect for travel – what a nice touch! The Guerlain by Emilio Pucci Meteorites Perles d’Azur and Powder Brush are now available exclusively to VIB Insiders at Sephora and to everyone at Nordstrom.com starting May 1st. I am considering re-purchasing the meteorites powder from this collection. The packaging is so beautiful. Do you think the brush is necessary to properly apply the meteorites?? If not, what kind of brush should I use for them? Thanks! No I wouldn’t say the brush is necessary. You can just any kabuki brush or big powder brush. I just got the meteorites today and they are SO pretty!